Another brave little squirrel comes right up to the lens, on the grassy field near the Peace Monument, the US Capitol, and Pennsylvania and Constitution Avenue. In the background is the monolithic Department of Labor building. And another squirrel. 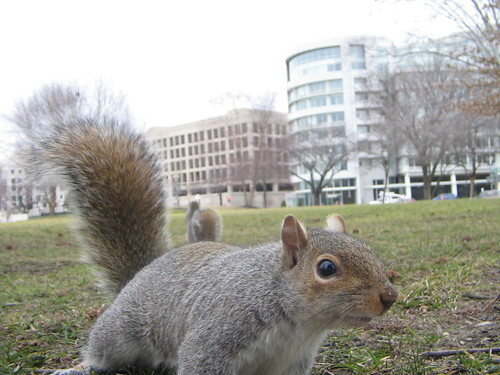 Also see Supreme Court Attack Squirrel, Judiciary Squirrel, National Mall Bench Squirrel, Tenacious Smithsonian Squirrel, and various other squirrels I have encountered.